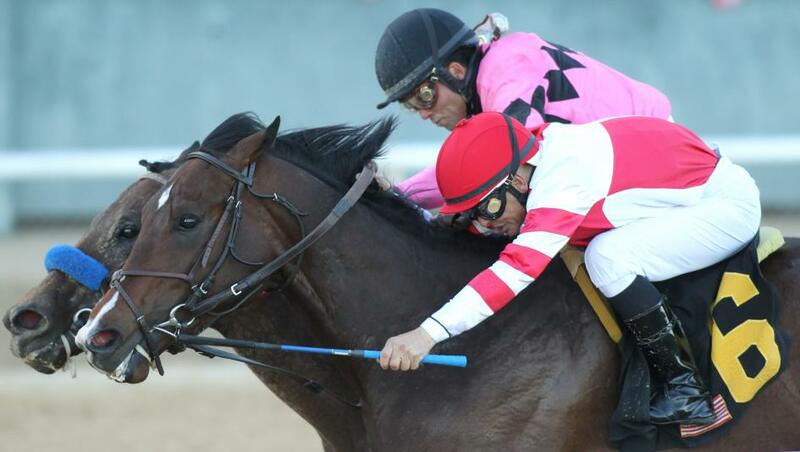 Oaklawn Racing and Gaming’s Rebel Stakes proved to be a record-setting day on Saturday. The Arkansas track drew national attention for splitting its Rebel Stakes into two divisions, which allowed horses from California to fly in and take part in a Kentucky Derby prep race after Santa Anita was forced to cancel its March 9 running of San Felipe Stakes. 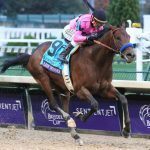 Among the 3-year-olds who entered the field were Game Winner and Improbable, considered two of the top contenders for this year’s Run for the Roses. As a result, the track’s handle on Saturday was more than $16.2 million. Oaklawn Media Relations Manager Jennifer Hoyt, speaking to Casino.org, noted that broke the previous record, set during last year’s Arkansas Derby, by more than $60,000. Saturday’s attendance was 45,500, which Hoyt said was an all-time high for the Rebel Stakes. Typically, the Rebel card attracts a crowd of around 37,000, and in the previous two years, the handle averaged around $10 million, she added. 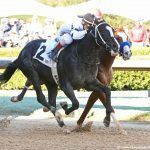 In addition to the two Grade II Rebel Stakes divisions — which awarded a total of $1.5 million in prize money — Oaklawn also hosted a pair of $350,000 races for older horses: the Grade II Azeri Stakes for fillies and mares and the Essex Handicap. 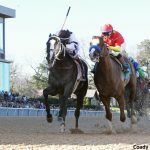 The record-breaker came just a few days after Oaklawn announced it would increase its purses for the rest of the 2019 meet, which ends on May 4. The move, which took effect last Thursday, was the third time this meet Oaklawn officials added money to its races. The $1 million investment means that open allowance races now feature purses of $95,000, a bump of $7,000. Other races got bumps of between $2,000 and $4,000. Bettors will have a chance to win $1.9 million when racing resumes Wednesday at Gulfstream Park, as the Florida track’s Rainbow 6 jackpot has not been claimed in over a month. For 20 cents, bettors can pick a winner in six races. If there’s only one winning ticket, they walk off with the jackpot. If there are multiple tickets with the six winning horses, then they split 70 percent of that day’s betting pool. The other 30 percent is added to the running jackpot. On Saturday, when gamblers vied for more than $1.7 million, nearly $550,000 in bets were made on the jackpot. More than 150 people ended up winning $2,487.94 apiece. Since the meet began in December, the Rainbow 6 has been won seven times. The last time it went out was on Feb. 15 for $227,505.88. Last week, The Stronach Group announced it would add new information to its programs to help bettors make their selections. 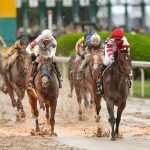 The company — which owns Gulfstream in Florida, Santa Anita and Golden Gate Fields in California, and Pimlico and Laurel Park in Maryland — will include the horse’s weight as part of its past performance information. Stronach started collecting the data about a year ago, and each horse is weighed on a scale in the paddock.